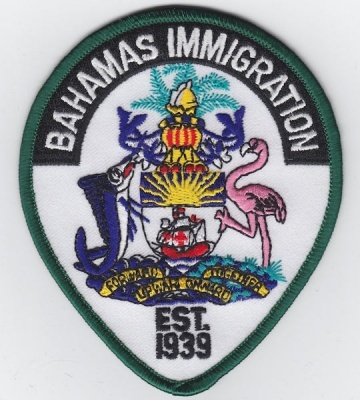 As the December 31st, Immigration deadline announced in the House of Assembly by Prime Minister Hubert Minnis on October 11th, 2017 for all migrants who are in the Bahamas illegally to leave approaches, Chief Immigration Officer In Charge (OIC) of the Eleuthera District, Mrs. Shema Darling, on Friday morning, December 8th, urged relevant members of the public to come into their offices to be regularized, and to make sure that everything was in order, like renewals, as well as payment of any outstanding fees. OIC Mrs. Darling also emphasized that people working outside of the scope of their permits (that is, the work capacity specifically stipulated on their permit document or the employer stipulated on the permit), could face the consequence of their work permit being revoked. She also highlighted that employers found engaged in the same practice of having someone in their employ who did not have them listed as an employer on their work permit, would be liable for fines and prosecution as well. Mrs. Darling stated that her team throughout Eleuthera, Harbour Island and Spanish Wells had heightened their surveillance activities. During the first week in December, a woman was taken into custody for breach of the Immigration Act and transferred to New Providence. Three men were also taken into custody in the North Eleuthera area on Thursday, December 7th, and were scheduled to be transferred to New Providence later on Friday, December 8th, 2017.